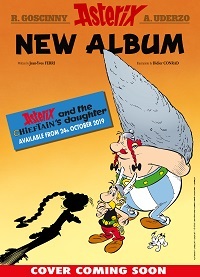 Hachette Children's Group will this year publish a new Asterix album, Asterix and the Chieftain's Daughter. 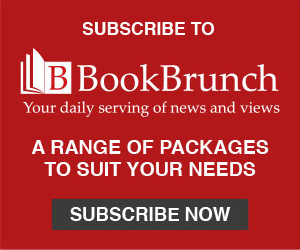 The book, with a print run of over five million, will publish in over 20 languages in 2019. It will be out in the UK on 24 October, once again created by Jean-Yves Ferri and Didier Conrad. The character was originally created by René Goscinny and Albert Uderzo, having first appeared in the pages of the magazine Pilote, 60 years ago. Ferri and Conrad said: "From what we know of the chieftain's daughter, she’s a rebellious teenager. Hardly surprising – it can't be easy having a name like Vercingetorix! We did quite a lot of research into her for the album: her appearance, her name, her personality . . . as you may know, Vercingetorix didn't give much away about his private life, and there are very few historical sources. But, as you'll see, we've managed to track down quite a collection of scoops!"